It has been a tough five years for Ontario’s Physicians, but we continue to persevere. Repeated and largely unanswered unilateral action, disrespect and vilification by the Ontario Government have had a deep impact. 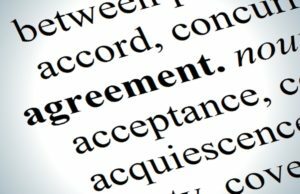 Last summer, the membership made it clear that the next Physician Services Agreement (PSA) must be negotiated with binding arbitration in place. Fast-forward one year, and a lot has happened. A tentative PSA was rejected last summer and the OMA Executive resigned earlier this year. A smaller Executive structure has been established whose composition, going forward, will be determined by the membership and from a broad pool of candidates. Many people have worked incredibly hard to get to where we are today. With continued engagement, our Association will continue to progressively evolve for the foreseeable future. There are many people in place who are working to rebuild much needed trust. The new President, Dr. Shawn Whatley, and President-Elect, Dr. Nadia Alam, entered with much needed renewed hope. Poor Liberal polling numbers and a strong display of physician engagement and advocacy have likely played a contributing role in negotiating a strong and fair Binding Arbitration Framework (BAF). This framework negates the power imbalance that exists between the OMA and the government. If negotiation and mediation fail, an independent arbitrator will have the responsibility to make the final decision on a wide scope of potential issues. If this BAF is ratified, unilateral cuts will no longer be possible. The first several days after the BAF was negotiated brought a lot of fear and hesitation. When presented with something good, the first instinct was to doubt it’s credibility. Individual physicians, sections, and hired external counsel have examined the framework under a microscope resulting in much confusion. It is encouraging to see that after careful analysis, most sections are recommending voting FOR ratifying this agreement. A real sense of unity is developing. Anything is possible during elections and it would be advantageous to have a BAF, and hopefully the next PSA in place before the results of the next election are determined. There may be little incentive for any new government to be as generous early in their term. Now is our chance to move forward and in order to do so you must cast your vote. I voted FOR ratifying this framework so that we can move to the next step of negotiating a Physician Services Agreement. It is important that you vote to have your say on this tentative Binding Arbitration Framework. You can read the complete BAF here, and get much more information on the OMA Negotiations Page. When you are ready, you can vote here. Great post, Rohit. Clearly lays out the path we took to get here and the direction we need to take.